When human measures for intelligence are applied to other species, dolphins come in just behind humans in brainpower, according to new research. 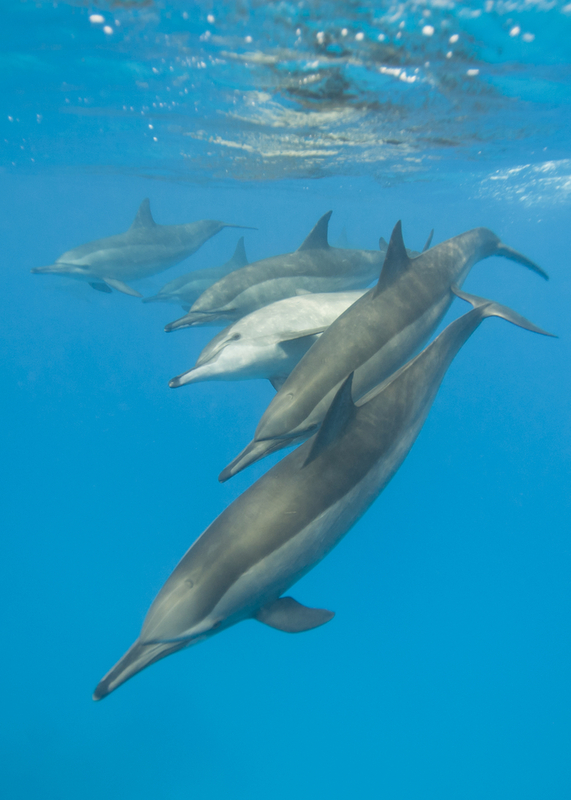 Dolphins demonstrate skills and awareness previously thought to be present only in humans. New MRI scans show that dolphin brains are four to five times larger for their body size when compared to another animal of similar size, according to Lori Marino, a senior lecturer in neuroscience and behavioral biology at Emory University, and one of the world’s leading dolphin experts. Humans also possess an impressive brain-to-body ratio. “If we use relative brain size as a metric of ‘intelligence’ then one would have to conclude that dolphins are second in intelligence to modern humans,” said Marino, who performed several MRI scans on dolphin brains. Marino will be presenting her findings at next month’s American Association for the Advancement of Science meeting. “Size isn’t everything,” she admitted, but she says at least two other lines of evidence support her claims about dolphin intelligence. First, various features of the dolphin neocortex — the part of the brain involved in higher-order thinking and processing of emotional information — are “particularly expanded” in dolphins. 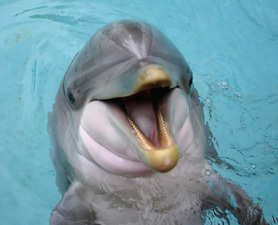 Second, behavioral studies conducted by Marino and other experts demonstrate that dolphins exhibit human-like skills. These include mirror self-recognition, cultural learning, comprehension of symbol-based communication systems, and an understanding of abstract concepts. “This point is based on the simple proposition that the more aware an individual is of one’s present and future circumstances, the more intensely one may feel the difference between a pleasant and unpleasant situation, or the more one can think about, and thus experience, negative feelings and ruminate about the negative consequences of one’s circumstances,” said Marino. She pointed out that during dolphin drives, when the animals are herded together by boats, some dolphins become so panicked that they die of heart attacks. Others die from exhaustion attempting to flee, while still others become entangled in nets and are killed or injured. The dolphins that do survive are hoisted from the water, often by their tail flukes, and transported to the human-run parks and other facilities. “The scientific evidence on dolphin sensitivities reveals that they are vulnerable to trauma and suffering when forced to live in the confined context of marine parks,” Marino said. At the AAAS meeting, Diana Reiss, a professor of psychology at Hunter College, plans to present findings from additional behavioral studies that support Marino’s conclusions about dolphins.